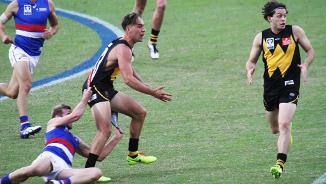 The Match Review Panel has fined North youngster Ryan Clarke for a rough conduct charge. 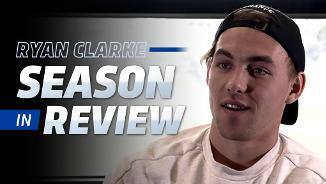 Drafted from the Eastern Ranges, Clarke was viewed as a prolific ball-winner with a high workrate at junior level. 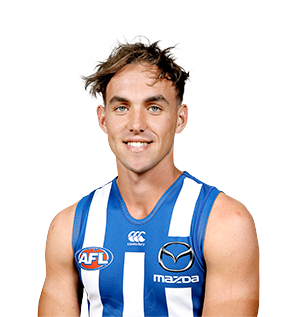 The 184 centimetre midfielder averaged 31 disposals a game at TAC Cup level, and also impressed while playing for Vic Metro in the NAB AFL Under 18 Championships. 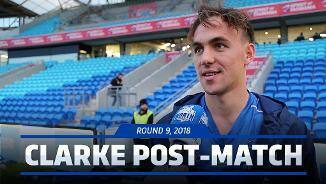 In his second season at North, Ryan Clarke was able to build on his six games in 2016, as he appeared 15 times in the AFL in 2017. 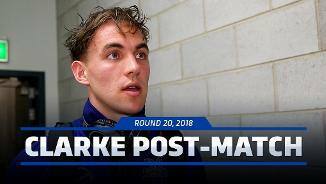 After a couple of spells in the VFL throughout the year, Clarke finished the season strongly, with his 31-disposal effort against Collingwood in round 20 being the first of four consecutive games over 25 disposals. “For a first-year player, he had a terrific season. 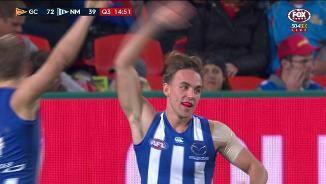 He played VFL footy and then went up to play half a dozen games in the AFL. 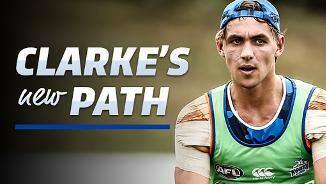 “When he came back (to the VFL), he looked way more accomplished as a player, strong and aggressive. “Some of his inside work was exceptionally good and around stoppages he’s a livewire. “His running patterns got a lot stronger as the year went on. He was able to challenge the opposition running forward and going back he was able to help out defensively.